Say hello to this sweet boy, Oyster! 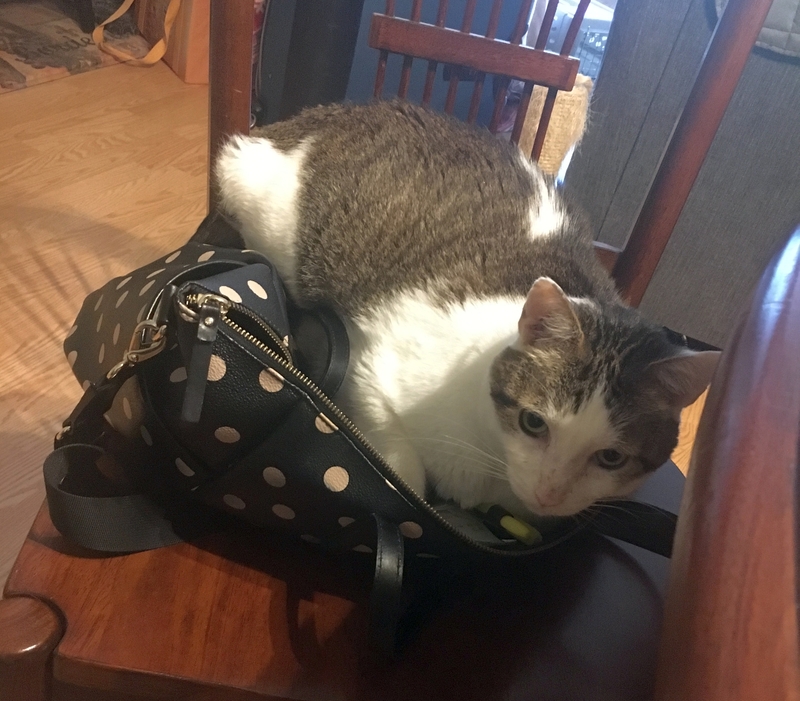 Oyster lives by the saying “ if I fits, I sits” – he will sleep anywhere at anytime, from the top of his carrier, on a laptop bag, to a nice fluffy pillow he has no problem getting comfortable. While not a lap kitty (yet) he does want to be near you most of the time and when he wants extra attention he has no problem telling you by a gentle paw on your leg. 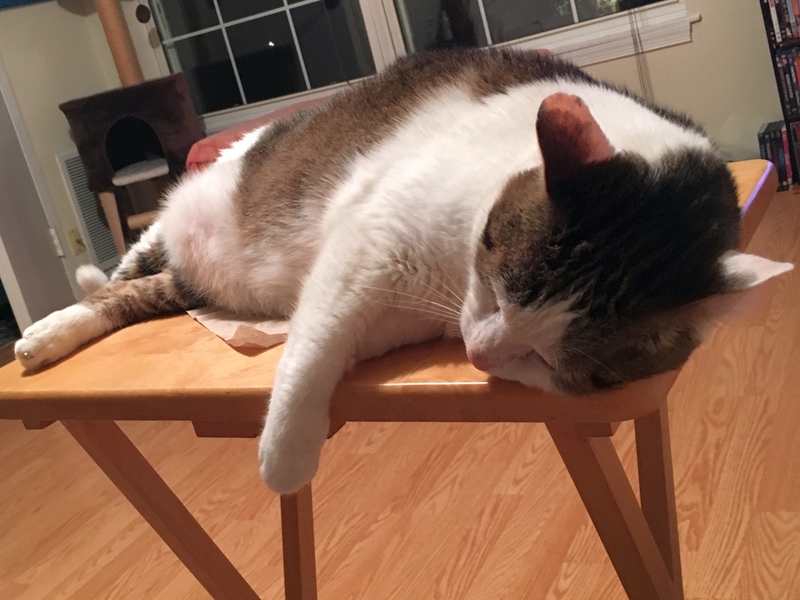 He loves his cardboard scratchers and bed, and is learning from gentle reminders where it’s ok to scratch vs. not. Oyster will do well in a calm household with plenty of attention from his human. 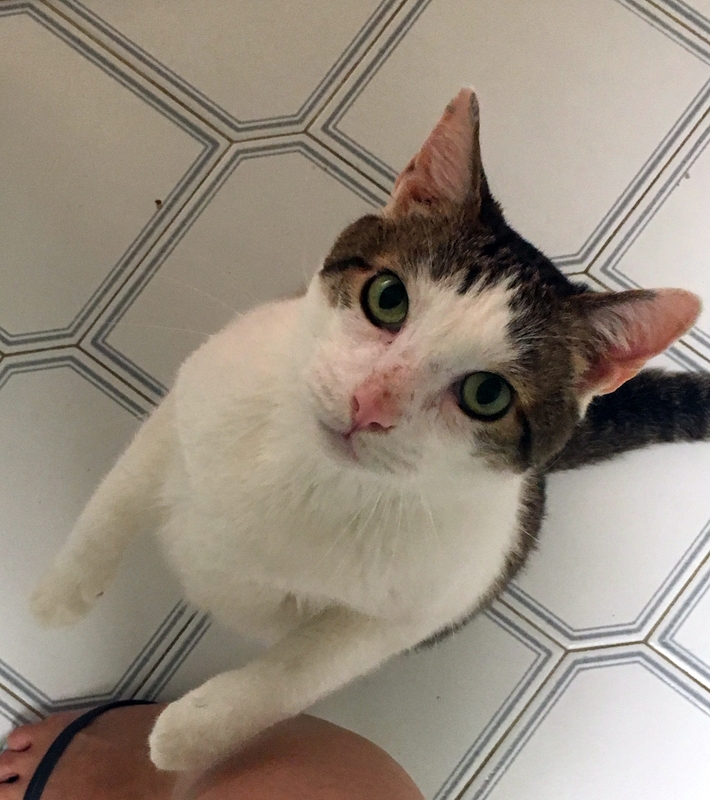 This sweet gentle boy has lots of love to give! 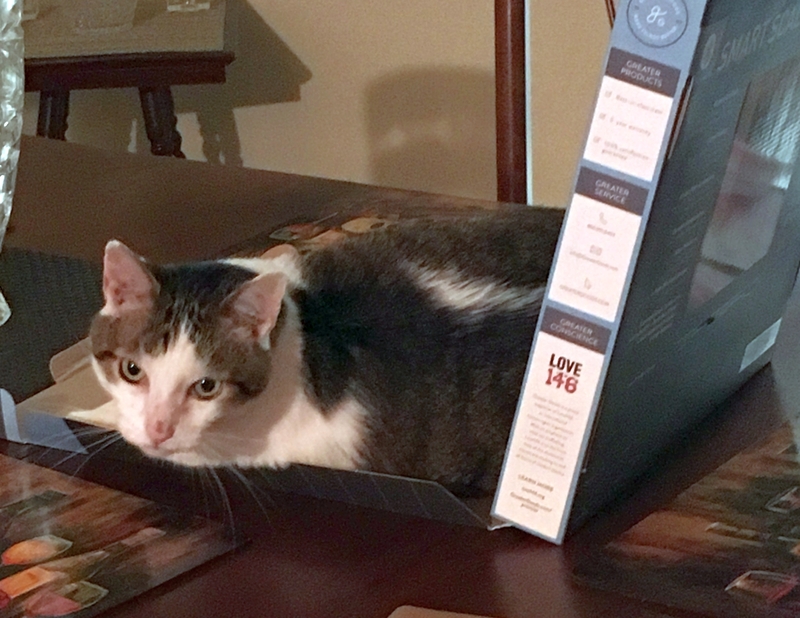 SPECIAL NEEDS: Oyster is FIV positive. 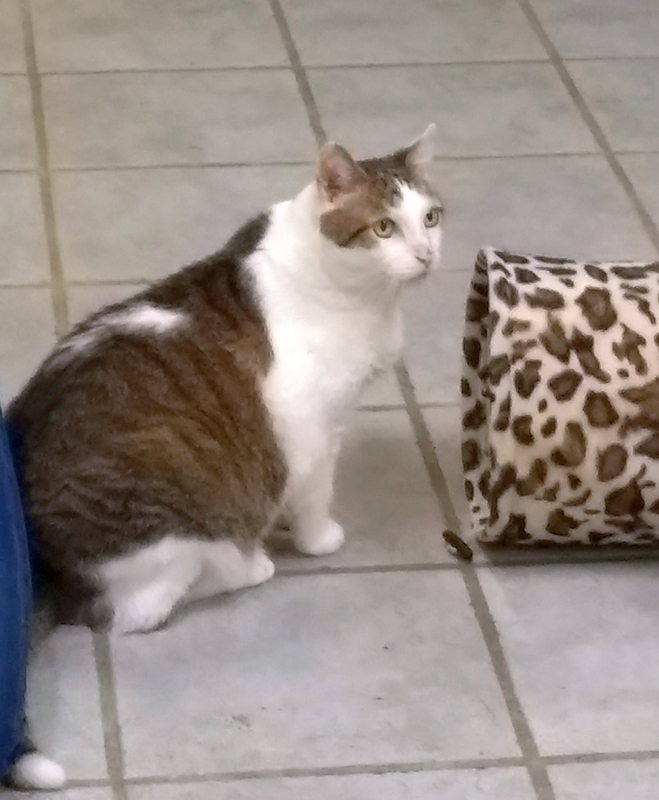 Here is some brief information about FIV+ cats, and here are some more details. 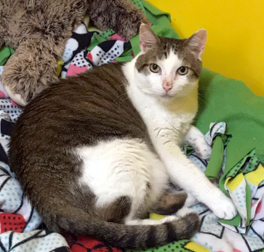 In summary, Oyster is a very sweet, calm, friendly gentleman ready to be your purr-fect companion! Estimated date of birth: November 2015. 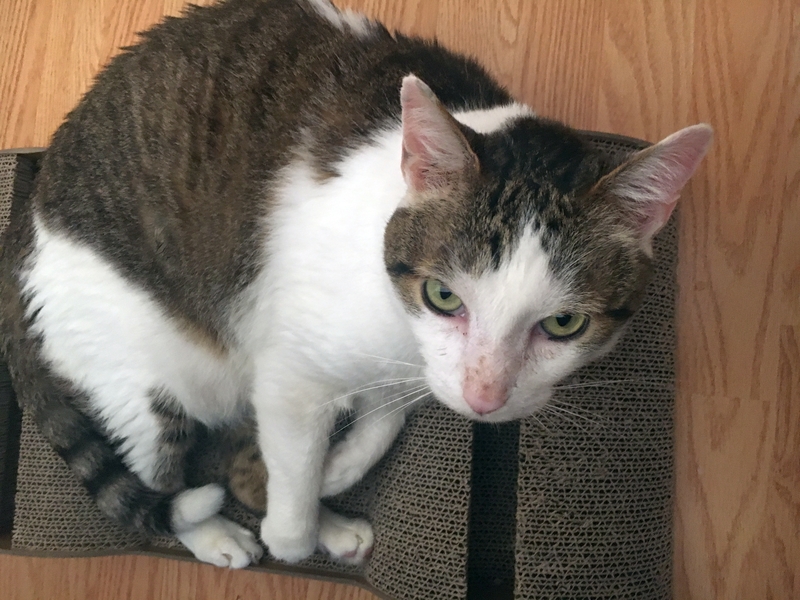 For more information or to meet Oyster at an adoption event, please email cats@lostdogrescue.org or call (703)295-DOGS.